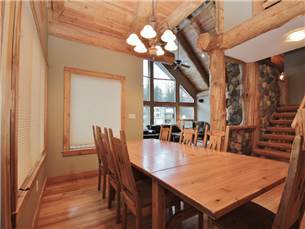 This unique mountain home is spread over 3 spacious levels, meaning multiple families or a group of friends can comfortably cohabitate without stepping on each other’s toes. 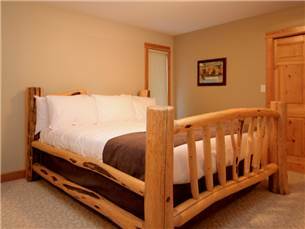 The upper level features the master bedroom with king bed & en-suite bathroom, bedroom 2 with queen bed, bedroom 3 with twin bunk beds and a shared bathroom. 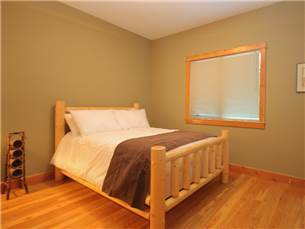 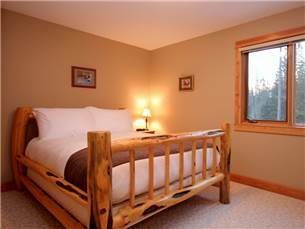 The main level of this stunning vacation rental is home to bedroom 4 with a queen bed and door leading to deck. 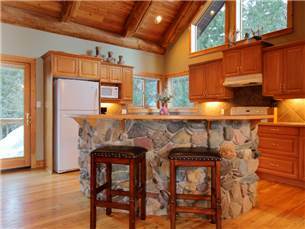 The main level also houses 1 common bathroom, the open concept kitchen with breakfast bar, dining table and living room with wood burning river rock fireplace. 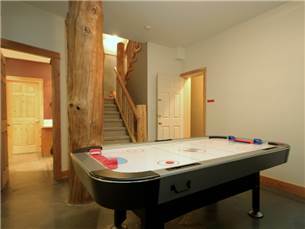 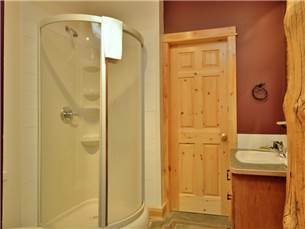 Step though the laundry room / mud room and into the private garage where guests can securely store their ski equipment. 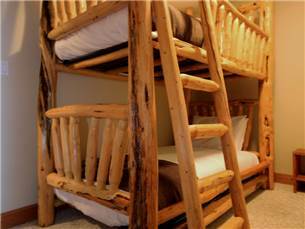 Down one level you will find bedroom 5 with 2 queen beds. 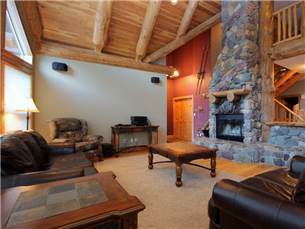 There is also a second living room, kitchen (not fully stocked), 2 bathrooms, a games area plus access to the deck and gazebo hot tub. 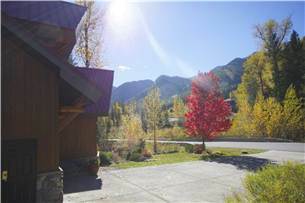 River Rock is a short 5 minute walk to the Elk Chair Lift. 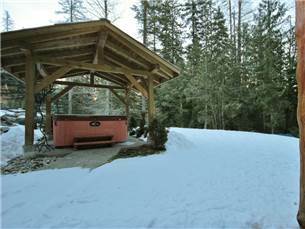 There is a ski out which brings you down to the road a mere 50 meters from the property at the end of the day. 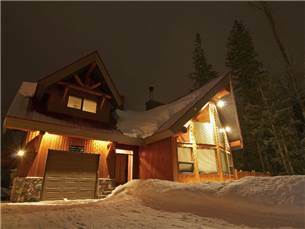 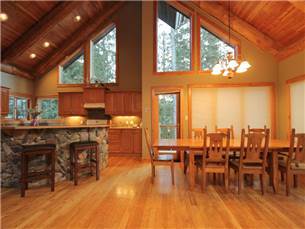 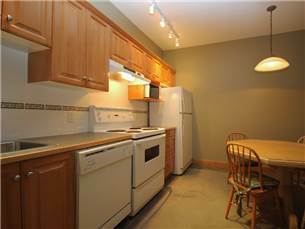 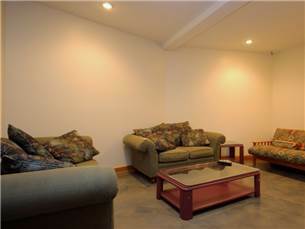 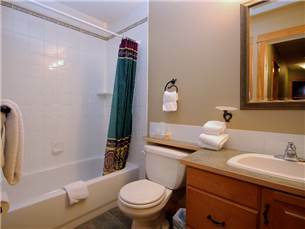 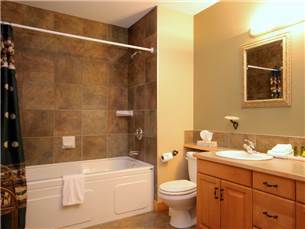 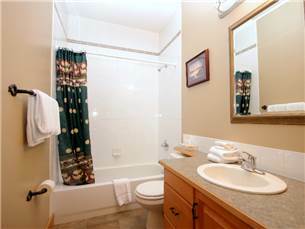 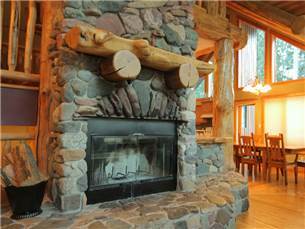 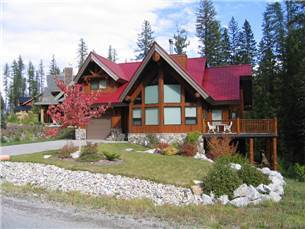 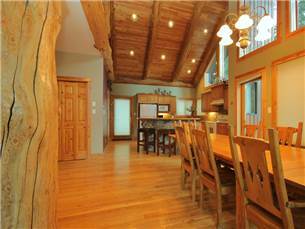 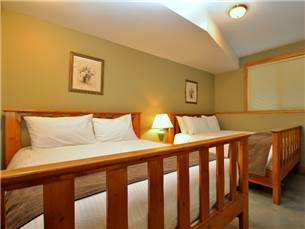 This vacation rental represents near ski in / ski out convenience without the exclusive price tag!